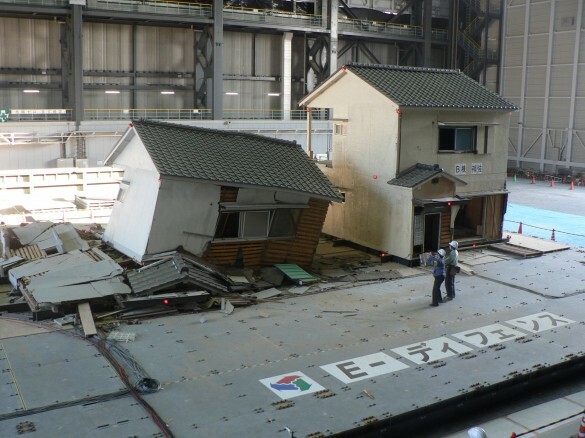 Japan has engineered the world’s largest earthquake simulator, the nation’s first line of defense in a geophysical war. 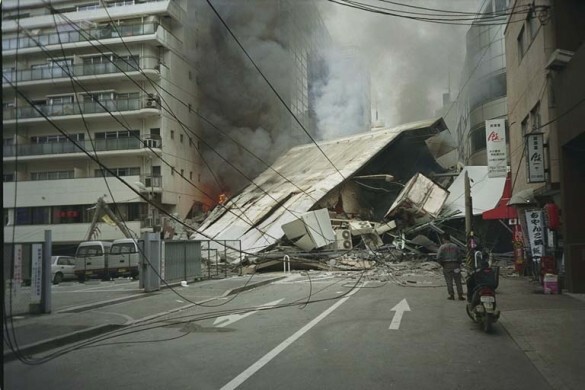 Many older homes in Japan don’t meet modern earthquake code and have proven a major liability in deadly earthquakes like Kobe suffered in 1995. Full-scale testing to destruction at E-Defense gauges their widespread risk to society and the efficacy of reinforcing them with retrofits. On January 17, 1995 a 6.8-magnitude earthquake struck Kobe, Japan. Damage exceeded expectations, tragically exposing structural vulnerabilities across various building types. The majority of the destruction occurred in older houses. Their heavy tiled roofs were a traditional precaution against frequent typhoons, but it made them precariously top heavy. 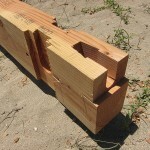 Many homes toppled due to insufficient cross bracing in their wooden post and beam frames. Lower stories gave way as they struggled to support the strain from above. Multi-storey concrete buildings, including the 1960′s-era city hall, sustained catastrophic pancake collapses, where one or more stories imploded. Column grids sheared en masse, due to insufficient reinforcement. Concrete and steel viaducts supporting bullet trains and other vital rail and road infrastructure were also badly damaged. Sections of the Hanshin Expressway, a major elevated traffic artery, lay toppled on its side – an enduring image of the catastrophe. Elsewhere, side streets were blocked by debris. Gridlock hindered the desperate relief effort as fires raged about the city. In total, around 150,000 properties were ruined by the earthquake and ensuing fires, leaving 300,000 homeless. 6,300 people lost their lives. Structures built after 1981, when codes were overhauled, suffered less damage. However, some of the collapsed structures were engineered to meet those updated regulations and calculated to be safe. These surprising failures exposed an unsettling truth: calculations alone could not fully predict the complex movements that bring buildings crashing down in a major seismic event. Today, engineers calculate the strength of a building’s components and study the structure’s reactions to dynamic forces by constructing analytical computer models, but these can be difficult to verify. They are, by necessity, abstract simulations. While testing small-scale mock-ups can provide a relative gauge of real-world performance, their miniaturization can distort the true effects of full-scale forces. To remove all doubt, one would have to build a full-scale model and subject it a full-force earthquake simulation to confirm its seismic strength and expose any critical points of failure. A testing rig of this scale might seem logistically impossible, let alone prohibitively costly. But this is exactly what the Japanese government has constructed. 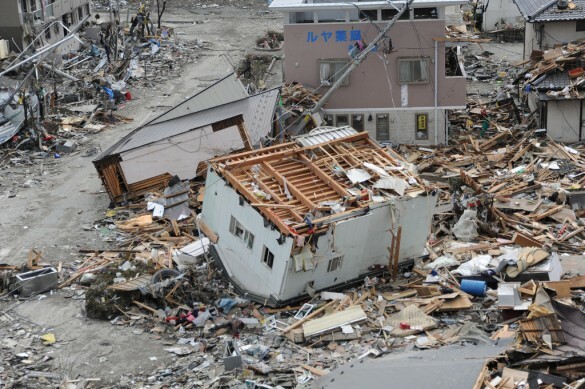 In the immediate aftermath of Kobe, Japan’s National Institute for Earth Science and Disaster Prevention (NIED) began planning a full-scale simulator that could subject all types of structures to the full force of a magnitude-7 earthquake. By early 2000 NIED had commenced construction of the Hyogo Earthquake Engineering Research Center, located only thirty kilometers north of Kobe. In 2005 the NIED completed this hi-tech facility it calls E-Defense. The name might sound like a hi-tech military installation. It is, in fact, short for Earth-Defence, symbolising its role in combatting Japan’s greatest security risk: its hyperactive geology. The nation’s biggest threat comes from the ground below. E-Defense is an engineering marvel in its own right – with awesome destructiveness comparable to the robotic mecha giants, who fight to safeguard Japanese cities from annihilation in popular manga and anime series. Within an enormous warehouse, known as the Experiment Building, wooden houses, concrete offices, and all manner of structures weighing up to 1,200 tons, are placed atop a kinetic platform and violently shaken to see whether they withstand or collapse into a heap of rubble. E-Defense is the world’s largest shake table. In July 2009, Simpson Strong-Tie in collaboration with researchers from Colorado State University conducted a 7.5 magnitude test on a seven-story wood-framed condominium tower – the largest seismic test ever. Photo: Simpson Strong-Tie. From a control room overlooking the test floor, computers coordinate a dancing array of pneumatic pistons hidden beneath the moving platform. Acting in unison, they thrust the 20-by-15-meter table in all directions, replaying the erratic gyrating choreography recorded by seismographs during real-life earthquakes, like the one in Kobe. In preparation for testing, structures are built inside an adjacent hangar, hoisted over into the experimental warehouse by a gantry crane, and placed onto the table. Sensors placed throughout the structure monitor the edifice’s movement once the swaying starts. This live data is fed back to computers in the control room and recorded for later analysis. Devising a gigantic hydraulic mechanism that could not only control, but also sustain such powerful loads was a substantial engineering feat in its own right. The forces of a violently convulsing 200,000-ton load necessitated securing the foundation of the table directly to the bedrock below. The shake table is powered by hydraulics, like the tricked-out suspensions that jack lowrider cars up and down. 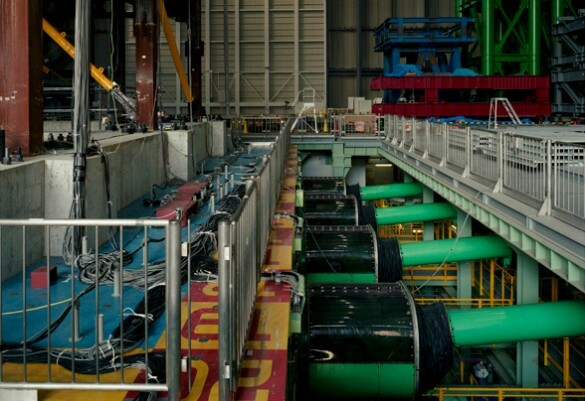 In a neighbouring shed, four immense 4,300-horsepower gas engines power the hydraulic pumps that pressurise the system. A towering bank of bright red metal accumulators regulates the flow of hydraulic fluid. From back in the control room, a computer translates the recorded movements of a seismic event into signals that instruct servo valves to open and close, to release the pressure into the twenty-four pistons that drive the table. In an earthquake, the ground doesn’t merely thrust from one side to the other as waves propagate from the quake’s epicenter. Displacement occurs in all three directions, so seismographs record ground motion along the X,Y, and Z axes. The 3D forces make structural behaviour more difficult to predict and prepare for. An unique feature of E-Defense is that it can faithfully replay any recorded earthquake in all three of its movement vectors. Enormous pivoting hydraulic actuators thrust the table from side to side, as well as up and down. Photo from Stephen Vaughan’s photo essay A Catfish Sleeps. The giant pistons are aligned to move the table along each axis. Two sets of flexible pistons jerk it ±1.0 meter in the X and Y axes – simultaneously shifting from side-to-side and forward-to-back at a maximum speed of 200cm per second. Fourteen vertically-aligned pistons support the table from below, raising or lowering it by ±0.5 meters at a maximum speed of 70 cm per second. Freedom of movement on this scale required special 3D universal joints, which allow the piston arms to articulate as the platform gyrates. Cameras record the shaking inside and outside the structure, capturing its ability to sway and absorb major shocks. Studying failure can be just as important. 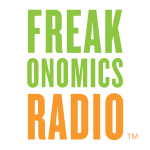 Some experiments are designed to identify weak points that can lead to catastrophic collapse. Others confirm the efficacy of additional seismic retrofits by testing identical reinforced and unaltered houses side-by-side. A room inside the test subject is furnished like a typical dining room. In the simulated quake, chairs, tables, and cupboards slide and topple, providing a visual gauge of the magnitude which anyone can relate to. In real earthquakes, most fatalities and injuries are caused by falling or flying furniture and objects, a particularly acute worry in critical facilities like hospitals. E-Defense has trialled dampening systems designed to buffer movement. One study has demonstrated their efficacy by constructing a multilevel hospital, complete with mock operating theaters manned by dummy surgeons and patients. Reenacting major quakes provides engineers, regulators, and companies with the ultimate form of safety verification and analysis. The footage also reminds the layperson of the violent forces a large quake can unleash and the relative fragility of the buildings all around us, whose permanence and stability we tend to take for granted as we go about our daily lives. Tremors are a daily fact of life in Japan. So much so that substantial earthquakes, which would make headlines in other parts of the world, pass without much acknowledgment. The population has simply become inured to instability. The frequent sensation of rocking and jolting underscores that buildings are not static, but behave like kinetic mechanisms. 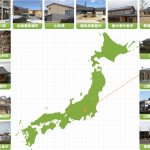 Japan’s long timber construction tradition embodies its response to seismic activity. Posts and beams were assembled by sophisticated interlocking joints, without screws or nails. These connections can articulate and slide to absorb shocks. Wooden columns of ancient temples, for example, simply rest atop their foundation stones, freeing the whole structure to jump sympathetically with shockwaves over the centuries. The efficacy of modern construction is underscored by Youtube videos of Tokyo skyscrapers swaying in the aftermath of the 2011 Tohoku earthquake. Witnessing buildings move on this scale defies our tacit perception that they are solid, brittle, and unyielding objects. But living on this tectonically active land, making such assumptions is potentially perilous. Marketing helps underscore ingrained anxieties. Footage from shake table tests is often flaunted as a promotional tool. It’s common to see advertisements for large home builders on Japanese TV, showing how their houses proudly withstanding violent shaking. While intended to reassure customers that the homes are safe, these commercials might also make them question whether the house they’re watching in is so robust. 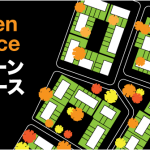 Thanks to public awareness (and, maybe, also a healthy measure of paranoia), structural safety is one of the most important factors Japanese home buyers consider. This partly accounts for why houses older than 15-years-old are unsellable and are typically demolished after only 30 years. In practice, all new wooden homes must be inspected to meet modern codes, which largely eliminates their risk of collapse. An abundance of caution also leads to some pretty questionable structural reinforcements – like steel shock absorbers and hovercraft-like foundations, all in the name of improved safety. E-Defence has also tested old homes to study methods of retroactively reinforcing them. Hastily built in the post-WWII boom, many have tiled roofs supported by frail lathe and plaster walls. As Kobe demonstrated, these homes – most lacking sufficient cross bracing, steel ties, or plywood sheathing – still present a widespread risk, particularly for the country’s disproportionate geriatric population, who have lived in them since they were built. 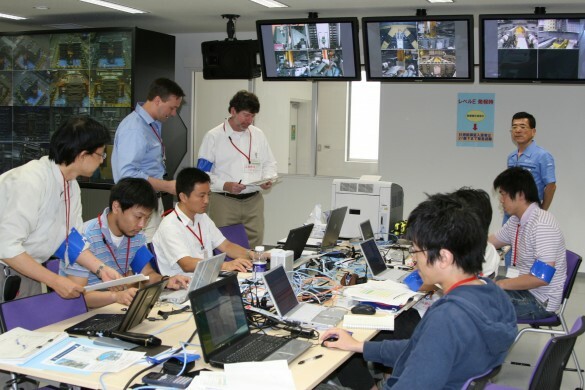 Since the facility is the only one like it in the world, foreign companies and organisations also travel to the Japanese facility to carry out their experiments. 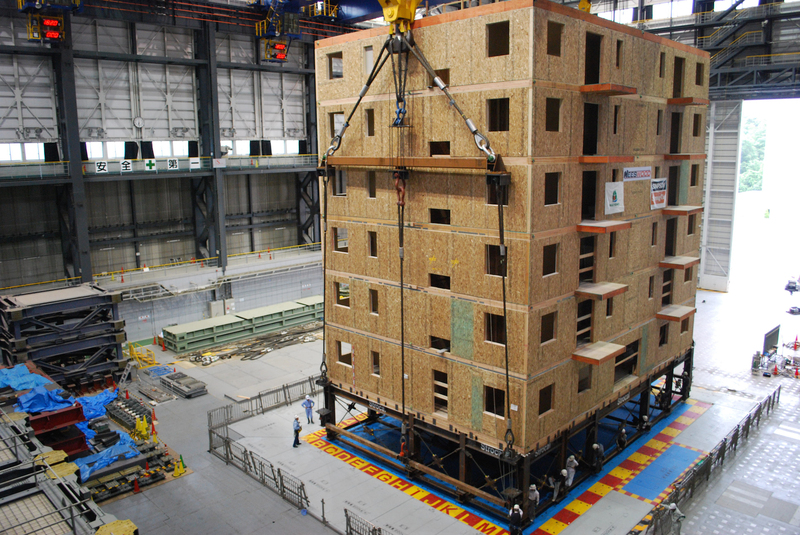 Simpson Strong-Tie® and an Italian/Austrian consortium have each tested groundbreaking seven-story timber edifices at E-Defense. Although the Miki facility is the world’s largest, the NEID operates another 15-by-15-meter shake table at its facility in Tsukuba, where it also operates the world’s largest rain simulator. For now all-too-obvious reasons, Japan’s Nuclear Power Engineering Corporation also operates its own 15-by-15-meter table. Shake tables less than 7 meters wide exist in other countries throughout the world, including the University of California San Diego’s 12.2-by-7.6-meter outdoor shake table. But none match the scale and sophistication of E-Defense. Two devastating earthquakes in two decades have brought Japan’s geological vulnerabilities into sharp relief, but the nation doesn’t shirk from meeting its seismic risks head-on. E-Defence is but one example of the titanic investments the government has made in the name of public safety. Soil retaining structures sprawl over mountain sides and sea walls stretch down the coasts. However, these mega-scale civil engineering projects often seem designed more to shore up Japan’s massive construction industry, long a cozy beneficiary of favours repaid to far-flung prefectural politicians. Sea walls that cost billions of dollars proved futile in 2011 when they were breached and in some cases toppled, by the 20-meter tsunami surge. Yet, they are once again being rebuilt at enormous public cost. 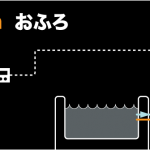 Constructing a life-size tsunami simulator would be futile, because even the strongest home cannot be safe if imprudently sited in the path of one of the earthquake’s deadly fallouts, be it a landslide, tsunami, or nuclear meltdown. Kobe’s disaster revealed structural vulnerabilities, but the affluent port city has since repaired itself and life goes on there. 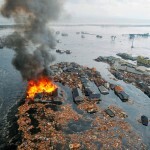 The Tohoku disaster exposed deeper fault lines at the scale of regional and national planning. Despite the residents’ resilient spirit, Tohoku’s recovery remains precarious. Even before the disaster, the region’s declining coastal communities epitomised some of the intractable problems that mire the whole of Japan: a shrinking population, rural flight, an uncompetitive agricultural economy, and the inexorable decline of industry and exports. Upon regaining power post-Tohoku, Prime Minister Shinzo Abe vowed to reverse the crisis with a three-pronged – monetary, fiscal and structural – reform program. Although the first two economic changes were swiftly enacted, his third structural reform has stalled in the face of entrenched interests and ingrained cultural norms. Perhaps Abe wishes he could simply place the entire nation atop the E-Defense simulator, to give Japan a long overdue shake-up. Hi Alastair, I enjoyed your piece. I’m putting together a short video on earthquake proof building and was wondering if you could tell me how you got a hold of the YouTube videos – I’d like to include some of that footage. I’ve been to the Daiwa House research facility and been on their public demo unit that simulates various historical earthquakes (but not the real one they test the houses on). It was pretty cool seeing the effort they go to to test their work. I just lucked out that my family in Japan are good friends with the guy who designed a dampener system for their their latest range so it was interesting learning about his design. When it comes back to plain value for money and the amount of scalability in their process I was impressed. Whilst I can’t say I like the aesthetics, the build and functional quality of their homes put the builder/developer homes back in Australia to shame. Things like this earthquake testing put them out of reach to most non-Japanese developers.